Chai Puppy Chow Recipe – a completely irresistible snack variation with chocolate and exotic chai flavor! 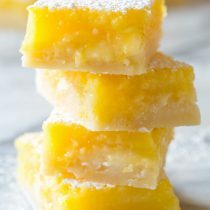 Plus it requires only 4 ingredients and 5 minutes to make. And if you weren’t raised in the south, and aren’t familiar with this whimsical party snack and edible gift, you need to be. 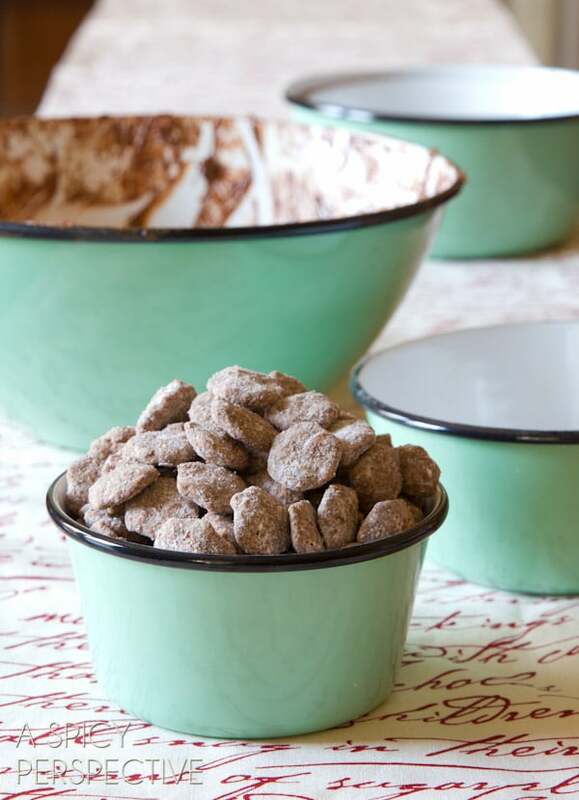 A Puppy Chow Recipe, as its lovingly called down here in the south-land, is a simple cereal and chocolate based treat. 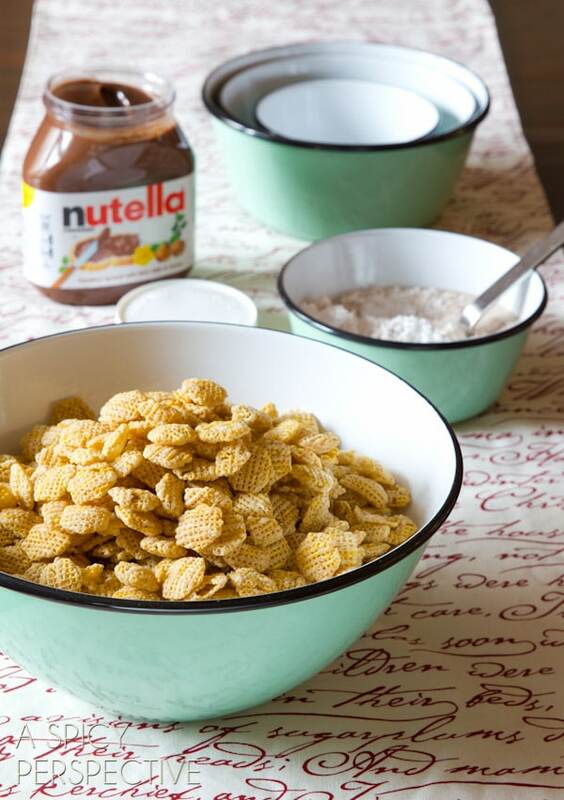 The classic recipe relies on melted chocolate chips and peanut butter to coat Chex cereal, then the pieces are heavily dusted in powdered sugar to give the appearance of… Well, dog food. As I can see how this might be a turn off, let’s focus on the ingredients at hand: chocolate, peanut butter, cereal and sugar. How could that possibly be bad? 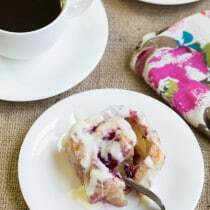 On a recent trip to Kohler, Wisconsin I stopped at The American Club coffee shop one morning and noticed something intriguing sitting in little paper bags among the bagels and danishes on the counter. Chai Chow, the bags read. Could it be the nostalgic comfort of a classic southern puppy chow recipe, mixed with exotic chai spices? Now this was something I had to try! Yep, fabulous. Empty-bag-in-three-minutes kind of fabulous. Well this girl knew immediately, Chai Chow would be a treat made at home again and again. 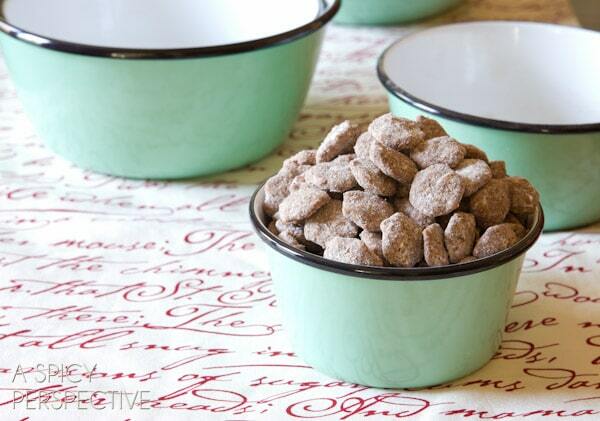 And guess what… it’s even easier to make than a classic puppy chow recipe. You simply warm the Nutella in the microwave to soften it. Gently stir it into the cereal to coat. 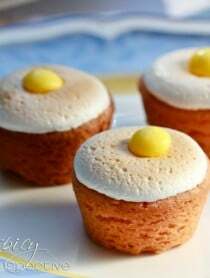 Then shake it in a large paper bag with instant chai latte powder (found in the tea/cocoa section of the grocery store) and powdered sugar. Viola! The rich chocolate nuttiness of the Nutella mixed with all the wondrous spices and black tea flavor in the chai powder, makes a brilliant and addictive coating on the crunchy cereal. 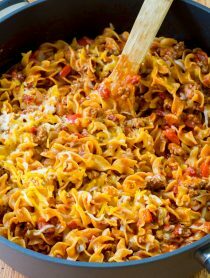 In fact, I advise you not to make this, unless you have plans to bag it up for edible gifts or take it immediately to a party. You will certainly not be able to stop eating it otherwise! Did you notice the super-slick mixing bowl set I used to make this batch of Chai Chow? They are Porcelain Enamel Hand-Made Mixing Bowls from my favorite lighting company, Barn Light Electric Company. The same company I used for Porcelain Enamel LED lights in my kitchen makeover last spring, also makes sturdy and gorgeous porcelain enamel home goods, like mixing bowls. See the recipe card below for how to make Chai Puppy Chow. Enjoy! 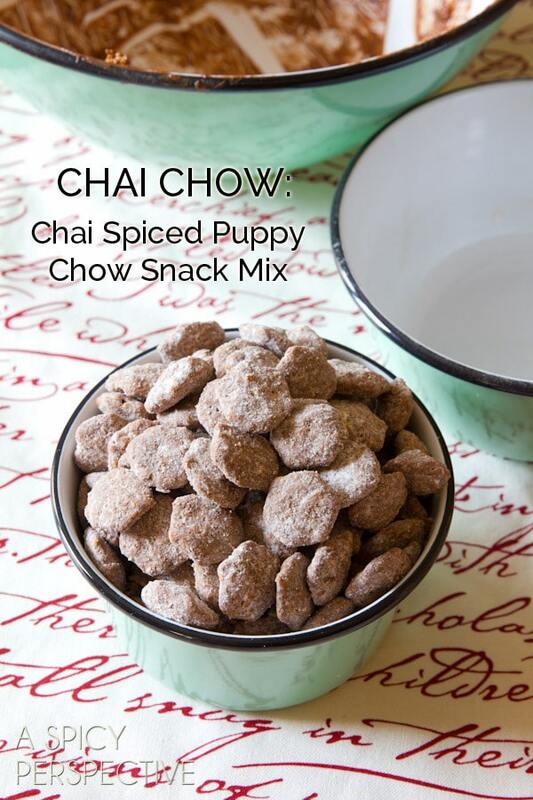 Chai Chow Puppy Chow Recipe is a completely irresistible snack variation (similar to Muddy Buddies) with chocolate and exotic chai flavor! 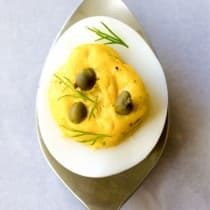 Plus it takes only 4 ingredients to make! Mix the powdered sugar and chai latte powder together in a medium bowl. Set aside. Warm the Nutella in the microwave for 1 minute, so it’s easy to pour. 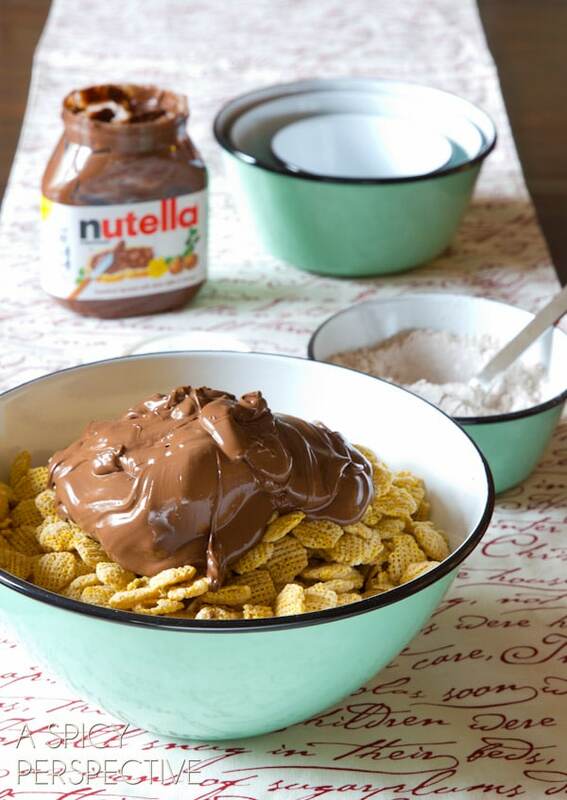 Then place the cereal in a large mixing bowl and pour the Nutella on top. Gently mix with a spoon until the cereal is thoroughly coated. Pour the powdered sugar mixture in a large paper grocery bag. 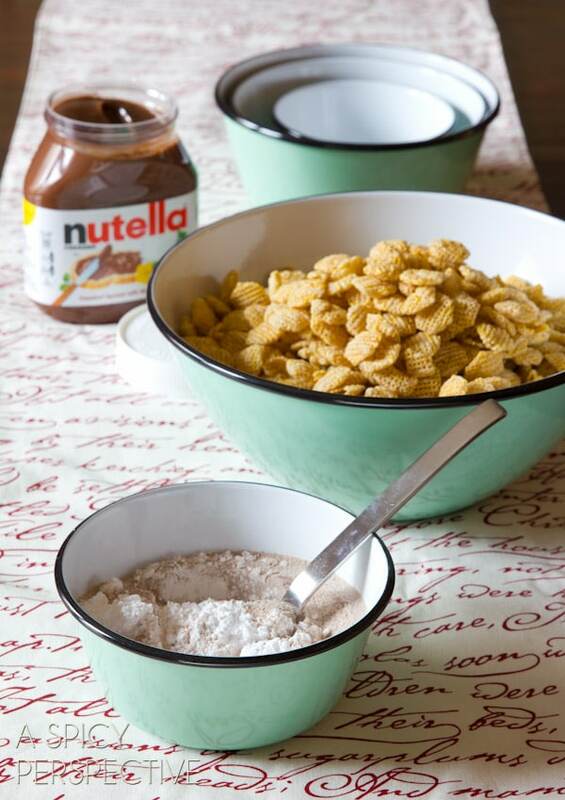 Dump the cereal on top of the powdered sugar mixture. 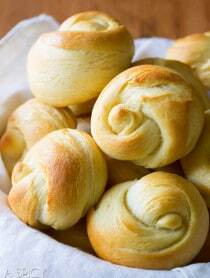 Fold the top of the bag down a few times and shake vigorously to coat, 1-2 minutes. 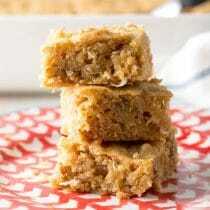 Spread the coated cereal out on wax paper to dry.